The son of a retired Dallas Firefighter and a current FISD school teacher, Dr. Watson is no stranger to Frisco and the surrounding area as he was raised right here. 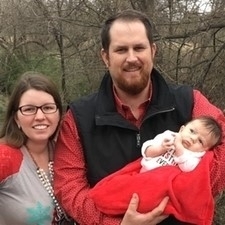 After graduating from Frisco High School, Dr. Watson went on to Texas A&M University for his undergraduate in Animal Science and his doctorate in Veterinary Medicine. Dr. Watson spent his first years of practice in a livestock based mixed animal practice where he worked on animals of all shapes and sizes. He then moved on to exclusively small animal medicine with a heavy emphasis in emergency medicine and general practice. In Novermber of 2018 Dr. Watson and his wife, Christi, welcomed their son into the world. In addition to their son they also share their home with their 3 dogs Fly (Black Labrador), Rooster (Chocolate Labrador), and Patsy (English Setter); Mrs. Watson also has a beautiful horse named Jolene and several chickens of various shapes and sizes. In his free time Dr. Watson enjoys working with his sporting dogs, enjoying the outdoors and spending time with family and friends. 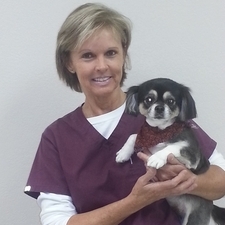 Debbie has been employed by Animal Hospital of Frisco since 2003. 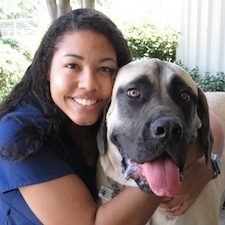 She enjoys working closely with Dr. Watson and the staff to provide the highest level of patient/client care. If there is anything she can do to make your visit more enjoyable please let her know! She has two rescue kitties named Meow Meow and Steve. 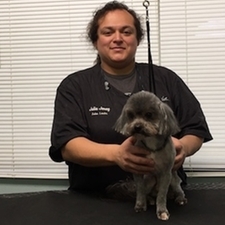 Julia is a certified professional dog groomer with 11 plus years of experience working and leading in the pet industry. Her passion has always been animals and she's made it her lifes work with a desire to better understand each individual animals needs. She genuinely cares because, to her (along with the rest of our team), every animal has feelings, a different personality, and different individual needs. She takes pride in utilizing her passion, experience, and understanding to recognize these traits quickly in order to create an environment in which your pet can feel confident, safe, and trusting. In her free time she loves to surf fish, spend time on the beach and hang out with her 12 yr old boxer mix Shian and her 8 yr old cat Chippette. Julia can't wait to meet your fur kiddos for any of the grooming services she provides.